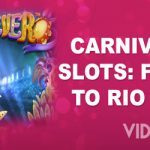 Five new slots arriving to Microgaming casinos shortly. Isle of Man-based Microgaming is definitely one of the biggest names in the business, offering high quality video slots to casinos worldwide. The company’s market share continues to increase, with five new slots arriving in May to further improve the reputation this developer already has. The first among the new releases is Candy Dreams, bringing delicious treats to a video slot near you, so if you’ve got a sweet tooth, be sure to check it out. The five-reel slot will offer an extra symbols on two of the reels, as well as two extra ones on one of them. There are 19 on-screen symbols in total, with 720 ways to win. Only one will be enough if you’re skilled enough. 12 Free Spins can help the players increase their winnings, and the same goes when Candy Planet Bonus feature is in question. Last, but not the least is a hefty €110,000 jackpot. With a familiar five-reel, three-row layout, Forbidden Throne will take you on a fantasy-thrilled adventure. 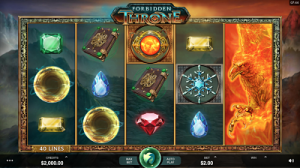 The video slot offers 40 paylines, with many lucrative rewards in hand. Some of the game’s symbols can be stacked, which will undoubtedly help you grab more cash, and if that’s not enough, use the Scatter symbol and unlock up to 30 Free Spins. If you’re a manga fan, then Fortune Girl will definitely be your cup of tea. The five-reel video slot brings 15 paylines, with betting starting at €0.15 per spin. A stylish game, with lots of colours, Fortune Girl has the Mystery Symbol instead of standard Wilds, which can also be stacked. If you’re out for a huge win, be on a lookout for the Magic Lion symbol. This symbol can trigger the Free Spins game, and provide a multiplier going up to x1200. This is another fantasy-themed slot, with four fairies as the main protagonist, each one named after one of the four seasons. Featuring the traditional five-reel, three-row layout, the video slot offers 20 fixed paylines, Wild and Re-spin symbols and 10 Free Spins. Give it a try and be sure to make the most out of the Wild symbols, since they can help you win huge payouts. This unusually named title is a Microgaming’s take on one of the most famous Mexican holidays, Dia de los Muertos or the Day of the Dead. The video slot features five reels and offers 243 different ways to win, whereas the wagering starts at €0.30 per spin. The Wild Spin Again feature re-spins the centre reel, but your chances to win big time also lies in the the Free Spins game and the multiplier which can go up to x1000 on a single spin. Visit one of the Microgaming casinos and pick one of the fresh releases to give it a try. Fun is guaranteed, it’s up to you to make it worthwhile.